Keying of large, hard to read handwritten financial survey forms in quick turnaround time with near 100% accuracy. After having tested and rejected samples of many outsourcing companies, the client finally turned to PHi to deliver over 70,000 multi-page surveys, in less than a month. To help banks and finance companies/professionals by managing their regulatory & compliance documents and transaction processing needs. Incorporated stringent quality checks to deliver data with excellent quality. Created a fool-proof MIS system to auto-generate comprehensive reports on every single field. As a result, project was completed well before the deadline with accuracy exceeding client's requirements. Improved the production capacity from initially 800 surveys a day to 4000 surveys and in turn cut down production and outsourcing cost. 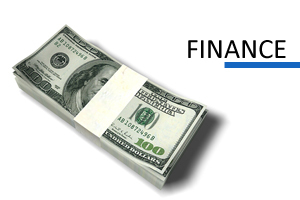 The client is World leader in conversion and retrieval of financial data with worldwide team size of over 3500. Training data entry operators on different handwriting styles. Preparing data processing software comprising of over 700 fields of different widths with inbuilt information on hundreds of financial products. PHi's software development team developed a project specific data processing package, containing information of various financial products and services that facilitated data entry team to select most of the fields from drop down options of the software instead of manually keying them. PHi also developed a comprehensive training program for operators to make them understand complex handwritten records. Improved the production capacity from initially 800 surveys a day to 4000 surveys and in turn cut down production and outsourcing cost. Incorporated stringent quality checks to deliver data with excellent quality. Created a fool-proof MIS system to auto-generate comprehensive reports on every single field. As a result, project was completed well before the deadline with accuracy exceeding client's requirements. PHi's before-time delivery made it possible for the client to perform comprehensive checks on the database instead of the originally planned spot-checks. The inbuilt reporting system of the software facilitated client to generate various survey reports at no additional costs.